Description: A subspecies of the cowpea, black-eyed peas make a delicious side dish or a great compliment to salads or soups. Black-eyed peas are very popular in southern U.S. cuisine and the most common variety is the California black-eye, which is pale colored with a large black spot, or eye. The pea easily mutates creating many varieties sometimes with the spot being brown or purple and growing black-eyed peas is believed to be very beneficial to the soil. 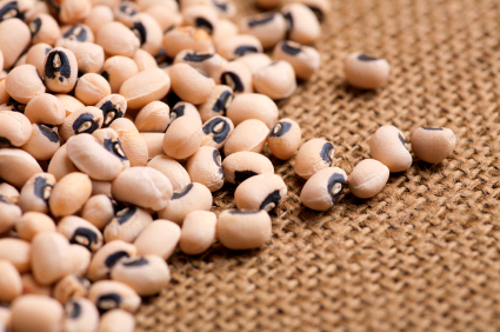 Black-eyed peas are believed to bring good luck as many eat them on New Year’s or Rosh Hashanah, believing they help bring future prosperity. Kitchen Pharmacy: Black-eyed peas are believed to help lower bad cholesterol and have even been linked to helping prevent osteoporosis, heart disease and some cancer types. It remains an excellent source of fiber and iron.